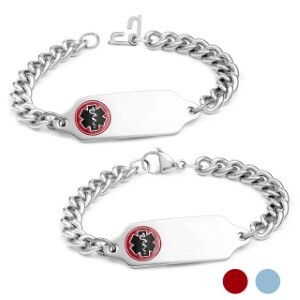 This attractive and highly durable medical ID bracelet is made of 316L stainless steel. Available with red or blue medical emblem. 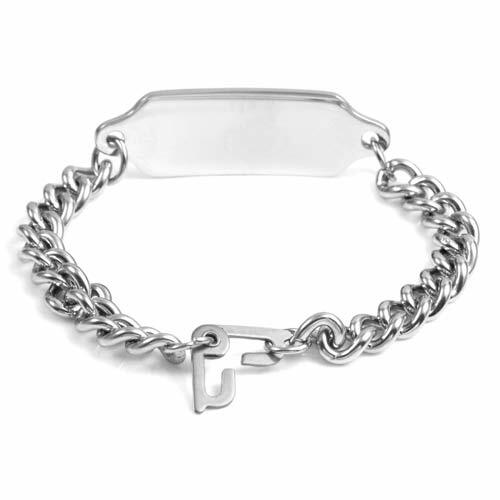 The safety clasp, also known as sister hooks, is designed to protect a loved one who may try to remove their medical ID. 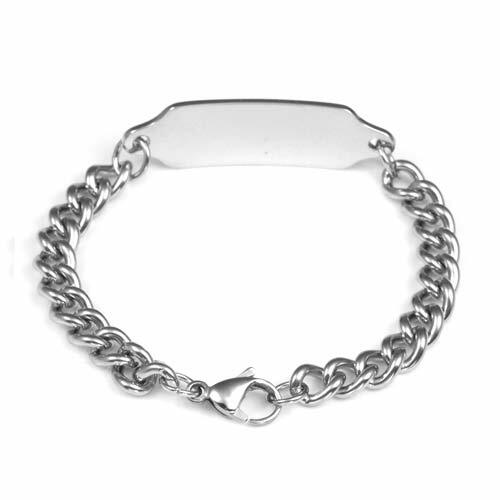 The clasp cannot easily be taken off without another's assistance, making it ideal for persons with Alzheimer's, autism, epilepsy, and other related ailments. Featured picture shows lobster clasp, but sister hooks are available with style medical bracelet.